Two days ago I placed my Tarte Friends & Family order and it already got here. 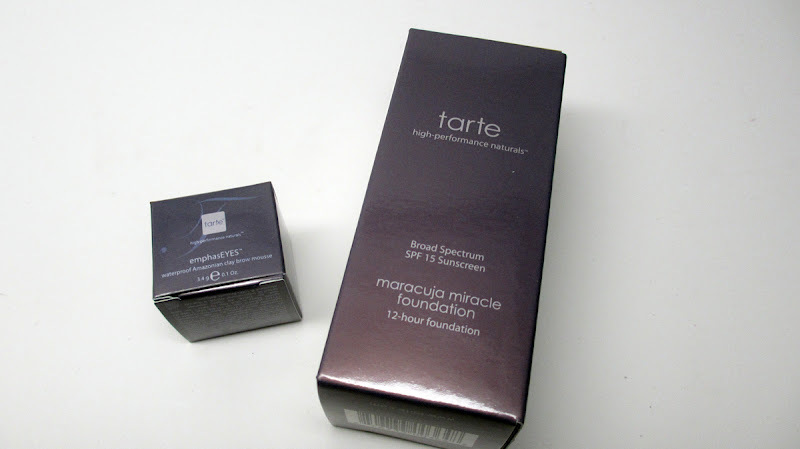 I'm a really big Tarte fan and I didn't want to miss out on the discount. I managed to take some quick pictures to show you all what I hauled...it's the last day for the sale so there's still time to check it out! I was really good and picked up just two items. Originally I selected about 13 lol, but I narrowed it down after my shopping cart was over $300 including the discount. 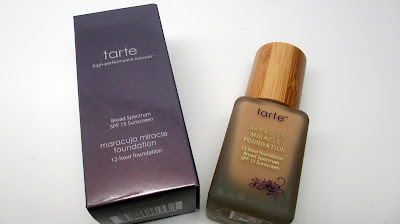 I'm a sucker for YouTube Guru reviews and when I saw that many said the Maracuja Foundation was great for dry skin I really wanted to try it. My skin is definitely dry and I'm always looking for an HD foundation. I picked up the shade Tan and i'm wearing it today. So far so good, i'll keep you posted. I also picked up the eyebrow mousse in medium brown. 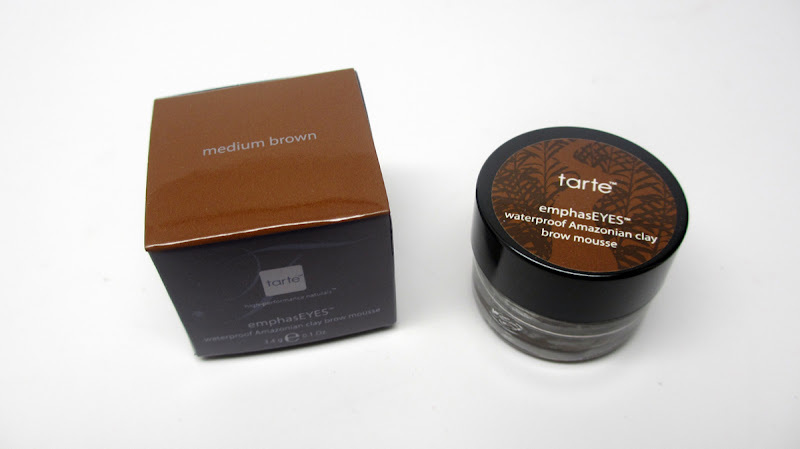 I loveeee their EmphasEyes brow pencil in Medium Brown and this seemed like a great option. It looks just like a mini gel liner. I applied it today with my Sedona Lace Vortex Brow brush and it took me all of 1 minute to do. I hope it really is waterproof because this could be my go-to quick brow fill-in. Hope you guys enjoyed my quick haul. Today is the last day to get 30% off your purchase at the Tarte Friends and Family Sale, use code FFAUG. Ciao Bellas! FTC Disclosure: Products purchased by me. Great buys, Thanks for sharing. Thanks Ren Ren! I just took advantage of the sale & picked up a few items. Can't wait to try them out. Ohh, I was going to pass on the Tarte sale, but the eyebrow mousse just sounds too interesting and I think I might need to have that in my life! FOTD: Dinner with the Girls Look! Palladio 8 Eyeshadow Palettes Giveaway! Brainy Beauty - Reader Feedback Requested!